Graduate schools don’t teach you how to get your book published. This post represents my attempt to help. I’ll focus on academic publishing, rather than commercial publishing. One disclaimer: this is what has worked for me. Results may vary. 1. Do you need to have written the entire book before you seek a contract? No. You need a book proposal, and a chapter — ideally, a chapter and the introduction. On the basis of these materials, you can get either a contract or a request to send the complete manuscript when finished. In the latter case, the press will ask: How far along is the manuscript or when can you send us a completed manuscript? Invent a deadline for yourself, and respond: “I’m on schedule to complete the book by … October 1st.” (Or something.) Note: for a first book, the press may want a complete manuscript before sending a contract. But the proposal and chapter can get their attention and get you some feedback. 2. What do you put in a book proposal? Summary. Brief but punchy description of your book’s scope, goals, and contribution. Be bold. Here’s one of mine: “Dr. Seuss, American Icon will establish Seuss’s importance as a subject for critical inquiry while revealing the ideological assumptions behind Seuss’s work. Since his death in 1991, Seuss has ascended in cultural importance, but little has been written on the social significance of this fact. Seuss has, in effect, become another Disney — a corporate enterprise, a marketing phenomenon, a symbol of U.S. culture — but his transition from children’s book author to American icon has never been fully explored. Dr. Seuss, American Icon will be the definitive book on this subject.” End quote. Is that an overstatement? Of course it is. But I prefer to think of it as plausible hyperbole, supported by evidence (elsewhere in the proposal). And it’s truly what I hoped to accomplish in the book — though whether I did accomplish it is a separate question. Table of Contents, followed by chapter descriptions — no more than a single paragraph for each chapter. Be succinct. Lead with your main idea. Length of book. About 100,000 words might be the upper limit here. Markets. Who will buy your book? Is it for fellow scholars only? In which fields? (Since I mostly work in children’s literature, some possible fields I’d suggest are: Education, Children’s Literature, Cultural Studies, Childhood Studies. All of the above?) Can you imagine your book also being read beyond academia? If so, say so. Might your book be assigned in a class? If so, which classes? How widely are these classes taught? To support your claim, you might use a search engine, and locate a few specific examples. Competition. To what other books is your book comparable? You might here indicate how your book differs from those books — what are you doing that these other books are not doing? A sentence or two on each book will suffice. The Author. Who are you? What are your qualifications for writing this? A paragraph or so is sufficient here. Deadline. When will the manuscript be complete? Illustrations. If illustrations, you might indicate availability of illustrations. For the best advice on what to put in a book proposal, read William Germano’s Getting It Published (here’s an excerpt). If you’re here because you’re turning your dissertation into a book, then you should also read Germano’s From Dissertation to Book (here’s an excerpt). They’ll give you better advice than I can. 3. Which publisher? Look at publishers’ lists and see where your book might best fit — you can do this on-line. Start with the books in your “competition”: who published those? 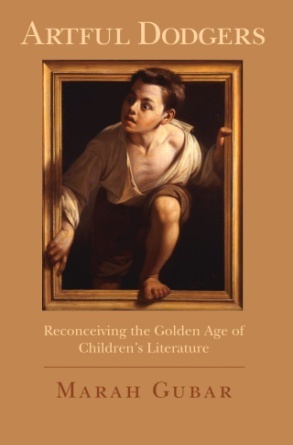 Since I work on children’s literature, I can tell you that many presses publish children’s lit scholarship, among them: Oxford, Yale, Johns Hopkins, NYU, Duke, Iowa, Mississippi, Norton, Wiley-Blackwell, Ashgate, Routledge, and Continuum. Duke and Mississippi are interested in popular culture more than children’s lit (Mississippi specializes in comics in particular); NYU tends more towards childhood studies, and history. There are many other differences between presses: Oxford and Yale have more money than, say, Mississippi or Iowa. Refereed presses carry more prestige than non-refereed ones, though a major trade press will usually carry as much prestige as any refereed one. Full disclosure: I’ve published with Continuum (2 books), UP Mississippi (2 books, one of which is forthcoming), NYU Press (2 books, one of which is forthcoming), and Random House (1 book). I’ve had great experiences with all of these publishers. 4. Contact the Appropriate Editor. Once you’ve decided on likely publishers, contact the editor in charge of your area – if you’re doing Children’s Lit, that’s likely the Humanities Editor or the Literature Editor. You can find this on the publisher’s website. If you’re going to MLA or ASA, set up an appointment with these editors in advance. Write a cover email in which you briefly describe your book and explain why it might fit with their list; offer to send the proposal, and ask if the editor might be free to chat at MLA or ASA. That’s the best approach, but I’ve only done that for the most recent books. What I used to do is simply arrive at MLA with half a dozen copies of my book proposal, and half a dozen copies of my CV. I walked through the book exhibit, gauging which publishers might be a good fit ­— then, I introduced myself, and made a little sales pitch for my book (which I rehearsed in advance). 5. Can you give a book proposal to more than one publisher at a time? Yes, you can. 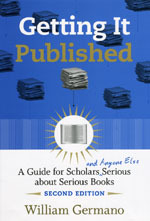 A publisher will ask for exclusive rights to review a manuscript. Once the manuscript is under review at Publisher X, you may not turn around and send it to Publisher Y. You need to wait until Publisher X has delivered its verdict. That said, for the most recent contract (Keywords for Children’s Literature), several publishers asked for exclusive review of the proposal — that was unusual. Hadn’t happened to me before. From what I’ve heard, such requests are becoming more common. Since we already had the proposal under review with several places, we had to say, politely, “no” and ask if a non-exclusive review would be possible. In all cases, the publisher agreed to give it a non-exclusive review. 6. If favorable readers’ reports, respond politely to the content only. So, you send your book proposal — along with a sample chapter or two — to a publisher. If the readers’ reports are favorable, you’ll need to respond. Readers’ suggestions range from excellent ideas that will help you make the project better … to less helpful ideas, reflecting, perhaps, the book the readers would like to see you write or, maybe, a misunderstanding about what your book intends to accomplish. Accept the helpful suggestions with gratitude, and respond graciously to the other ones — perhaps your proposal could have more clearly conveyed that your book intends to do X and Y? You might then quote the relevant part of your proposal, offer a few more explanatory sentences, indicating that while the reader offers promising directions for further development, to fully advance the aims of your project you won’t be able to pursue all of those directions even though you especially like direction number 7 which you find very helpful in reframing Chapter 3. My policy is to cede when I can and to hold my ground when I can, but always do it politely. If a reader’s report has a hostile tone, respond only to the content and not to the tone. 7. If unfavorable news,… never say die! What if that publisher doesn’t either send you a contract or ask to see your manuscript? Well, keep trying. Go to the next publisher on your list. If you remember nothing else from this blog post, remember these three words: Never say die. 8. If your proposal can’t be a book, it can become an article or a chapter of a different book. It’s possible that your idea simply isn’t going to work as a book. Not all ideas become books. This isn’t because there are good ideas and bad ideas, although there are good ideas and bad ideas. This is because there are marketable ideas and un-marketable ideas. If you have a good idea for a book, but you can’t sell it… then it’s not a book. Maybe it becomes an article or part of another book. As I noted in this blog’s inaugural post, my first failed book idea was a collection of Dr. Seuss’s World War II cartoons. 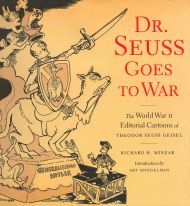 Right when a publisher was ready to offer me a contract, I learned that the New Press would be publishing Richard Minear’s Dr. Seuss Goes to War. So, I turned my introduction into an article, which I published in Mosaic in 2001, and which became Chapter 2 of Dr. Seuss: American Icon — that article and the book proposal secured the contract for that book. A more recent failed book idea is for an Annotated Ferdinand; I gained the support of the Leaf family and the Lawson estate, but I couldn’t interest Viking or Norton. So, I’ll be turning that proposal and sample annotations into an article. And so on. In other words, if it won’t work as a book, then put it to some other use. This is simply another version of never say die. 9. Reasons to keep trying. Given the many obstacles, why should you pursue your dream of writing the book? Two reasons. In academia, writing a book means never having to explain yourself. You become (for example) Marah Gubar, author of Artful Dodgers: Reconceiving the Golden Age of Children’s Literature. Second reason: in academe, publications are the coin of the realm, and we academics get to print our own money. There’s pocket change — say, an encyclopedia entry or a book review. Then there are moderately-sized bank notes — articles in refereed journals, essays in edited collections. Finally, there are the Really Big Bank Notes — books. The book increases your cultural capital more than any other kind of publication. Now, I’m definitely not arguing that books should be so highly valued; some books should not be. I am merely pointing out that they are highly valued. And that’s a good reason to keep repeating to yourself, “I think I can, I think I can….” And it’s an excellent reason to make your Little Manuscript That Could… into the Little Book That Is. Note: I presented a version of this at the Children’s Literature Association’s annual conference in Normal, Illinois, on June 12, 2008. Several people have indicated that they found this information helpful. So, I thought I would share it with a wider audience. For advice on how to write a commercial proposal, see literary agent Gail Ross’s helpful Writer’s Guide. For advice on how to become a children’s author or illustrator, the best single thing you could do would be to check out children’s book editor Harold Underdown’s The Complete Idiot’s Guide to Publishing Children’s Books. Beyond that, several children’s book editors maintain blogs. Cheryl Klein does, to name one example. Why not read her blog? For advice on how to get an agent (which you do not need for academic publishing, but do need for commercial publishing), I would again direct you to Harold Underdown’s excellent advice. For some good general resources, take a look at Pat McNees’ Writers and Editors website. Hey, brother. Sharing this kind of information on a public blog might suggest that scholars like to share ideas, work together, encourage one another’s academic success, putting to the lie that we’re all suspicious, self-obsessed, paranoiac, jealously guarding our ideas and grumbling evilly at the success of others. And we wouldn’t want that! I met some graduate students fairly recently who refused to talk to each other about their dissertation topics, for fear that the others would steal said ideas. I couldn’t believe it. And I met a young scholar–a nice person, who does good work–who was worried to death that a certain, more established scholar in their sub-field would take up a similar subject. I suggested that s/he send the scholar a note, explaining what s/he was working on, asking for advice; this idea shocked the young scholar. I find that in our discipline, there’s very little “idea poaching,” and advise folks to make public their ideas quickly, so that, even if there were a little poaching going on, folks already know: “Hey, isn’t that the same thesis scholar Y’s been working on?” Plus, when you have the whole community aware of what you’re working on, you’re much more likely to get interesting leads, tidbits, and miscellanea sent your way from helpful scholars. (Richard Flynn, for instance, is always sending me interesting trivia about Silverstein’s musical career). Which is all to say, good on you, Phil Nel, for making this handy info public. This advice works, as it was this self-same info that guided me to a book contract. Thanks for your kind words, Joseph. The blog’s raison d’être is usefulness. So, if this advice proves useful to others, then that’s good! I should also amend the above to add that there are many good reasons to write an article instead of a book, or to develop your ideas on your blog (see Kathleen Fitzpatrick’s Planned Obsolescence, for example). If you’re striving for a book, then the above may help (I hope!). But if not, then that’s cool, too — there are many other valuable goals for which to strive. Of course, the blog idea is good, especially if you’re an academic without tenure working through ideas for an article or book. However, if you find yourself on the tenure track (or a member of the “ladder faculty,” as we call untenured, tenure track folks in the CSU system) and spend your time on the blog at the expense of more traditional publishing ventures, then you may have a difficult time getting tenure when your time comes (so to speak). I know that the CSU system, for instance, looks askance at non-peer-reviewed publications (like blogs), and although I don’t necessarily agree with that policy, blogging full time might be best left for a post-tenure activity (unless, of course, you can strike a productive balance and, again, blog a lot while also engaging in traditional publishing). Joseph: Of course, one must be practical. I could not agree more. Literally. I published two monographs, a reader’s guide, & over a half-dozen articles all before going up for tenure (early). One thought behind this decision was: why aim for the minimum? If you will: why aim for the “C”? The untenured should aim for the “A+.” Your job depends on it. And I would never advise any academic to blog full-time — whether tenured or untenured.